Hey men! Tired with your own, limp and lifeless hair? Want a fun hairstyle that gets you noticed and admired by the ladies? Learn how to texturize your hair with these easy steps. Texturing is the layering of hair to provide a multi-dimensional look and feel. Flat hair is not cool. Think of messy/casual hair, but with enough control and hold that it isn’t flopping in your eyes and making you look like a shaggy sheepdog. Hair with texture means there’s some “grip” to it; it’s the perfect kind of hairstyle that gets the attention of women. Don’t you want to give women the excuse to play with your hair? The permanent way to add texture to hair is with a perm. Or if that is too extreme for you, you can employ these semi-permanent tricks to give your hair some lift. You don’t need to be a stylist to give your hair texture. Here’s how to texturize hair- the easy way. For a quick way to create lots of texture, look for men’s styling products with appealing names such as ”hair wax”, “texture putty” and “molding putty.” Don’t worry, these highly available in grocery stores and drug stores. These products have the consistency of good and should be used sparingly to avoid giving yourself the dreaded helmet-hair look. Take a small dab on fingers, then run it through small chunks of hair, or use it to mess up hair. Use small amounts to add some interesting anti-gravity, hair lifting looks. Lucky for you, this putty rinses out with your next shower, so you can quickly get rid of undesired results and start all over again. If you have a wife, girlfriend or willing female friend who is handy with a razor, enlist her help in cutting your hair. Here’s how to texturize your hair with just a razor: have the accomplice twist sections of your hair (gently!) and come in with the razor to lift up. She can choose large chunks of hair or smaller chunks, wherever she likes all over your hair. The idea of twisting and cutting is to introduce variation in your hair, and with that will come texture. Be careful, though, this technique works better with dense, thick, curly hair. You might choose to go to a professional salon to achieve the right textured hairstyle. One of the latest trends is to wear hair longer, with bangs, in longer layers that have lots of texture, especially at the perimeter of the hairline. The idea is to give it the “I just woke up but my hair looks cool” messy appearance. Your stylist may be the best expert in giving you advice on how to texturize your hair, especially if you’re not used to so much self-pampering. For men who are worried about thinning hair, learning how to texturize hair can be a way to hide the thinning a bit. Special hair texturizers coat the cuticle and add some thickness to hair. Your hair is no longer fine but has somebody. For African-American males, hair texturizing can help soften tightly curled hair. It is a process that helps loosen the curl and make it hang lower. "If you have a wife, girlfriend or willing female friend"
I don't get it why does it have to be female? 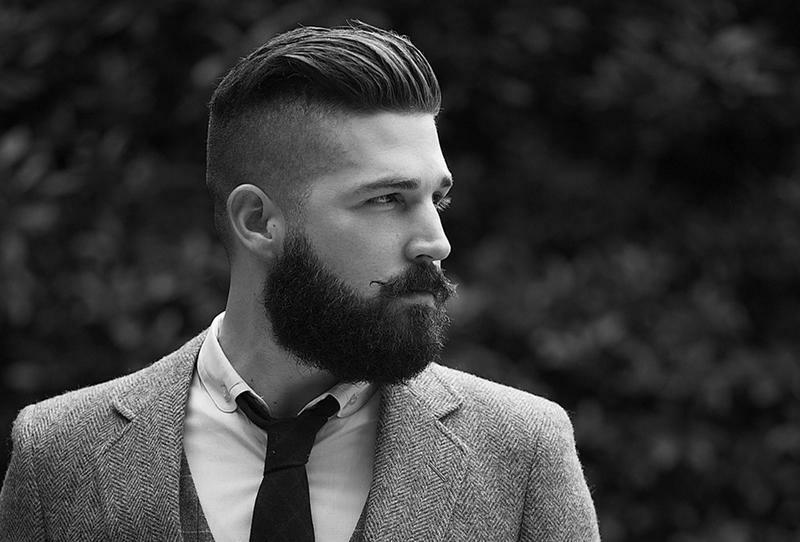 yeh so what, men can style other mens hair. I've seen alot of male hairdressers out there! gay men do hair better than any female i've ever had touch my hair. end of story. well then you are not going to the right places them. a buddy of mine is amazing with hair. And definitely not gay. To the anonymous guy August 12, Because its normal for it to be "wife,girlfriend or female friend"
Again its for men!! female+male get the picture? Now if you're gay, that's a totally different story. Your issue not ours! Classic discrimination going on in here. Men can cut male hair, get with the times. No I don't. Men and women make babies together, as far as I'm concerned that's the only connection in today's society. I never knew making babies and getting your hair cut were relevant to each other. Marriage and love are not exclusive to gender combinations any more. Not only that, but marriage is a religious act that is forced to be relative to male+female. It's only mental, nothing more. "Now if you're gay, that's a totally different story. Your issue not ours!" Being gay is not an issue. You want to know what is an issue? Hate crimes, prejudice and sexual labels. Love is love. What's with people trying to ruin lives? Do you not realize how bad of a person you are to do those things? "Being gay is not an issue. You want to know what is an issue? Hate crimes, prejudice and sexual labels. Love is love. What's with people trying to ruin lives? Do you not realize how bad of a person you are to do those things?" Lol, I love how gay people are always so quick to pull out the "Hate-crime card"! it's hilarious how they don't get that it's unnatural and it's just not right for men to be styling other mens' hair. If a man wants to style his own hair, cool. If a man wants a woman to style his hair, awesome. But for a man to style another man's hair? Uck…. Serious homophobia going on in here, it's actually kinda frustrating to think people worry about what men do with other mens' haircuts. Being a stylist never had anything to do with homosexuality, even if there's stereotypes out there. I for one, wouldn't let my girlfriend near my head with a razor, comb, or any implement of hair-altering destruction. 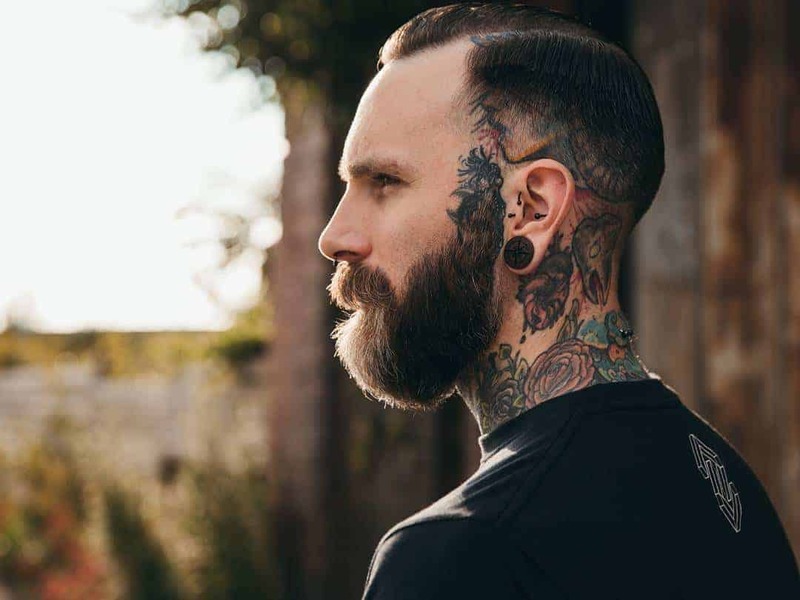 But I will go to my local barber/stylist and have him give me something epic, because he knows what's going on, better understands what a guy's perspective on hair-maintenance is, and I trust him to have some good advice. Nothing to do with wanting his affection. I'm gay, I don't care who the hell cuts my hair as long as I still look hot. But remember, usually the face makes the hair, not the other way around. Gay men can style their own hair! All gay men know about hair and shoes, it's like a rule. Pfft. I know less than nothing about hair and nothing about shoes. Can thin hairs wear the mohawk? ?